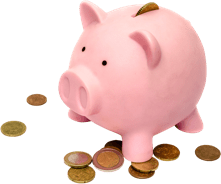 Households in Ireland had more than €102 billion saved in Irish banks at the end of June 2018. It’s a huge amount of money, and it’s earning next to nothing for the people who have left their money on deposit. The Central Bank of Ireland reports that the average interest rate for these deposits was 0.14%. That’s about €19 of after-tax interest per year for each man, woman and child in Ireland. Meanwhile, despite what you may have heard, over in the investment world, things are much more positive. Many investment funds have performed strongly over the last 12 months. Data from Rubicon Investment Consulting shows average returns on active managed funds for the 12 months to the end of August were 9.7%. Perhaps it’s fairer to compare over a longer period. The table below compares the performance of cash and investment funds over the last five years. The growth in investment funds is just over 23 times higher than for money on deposit! Whatever way you slice this, it’s a massive missed opportunity for long-term savers in Ireland. 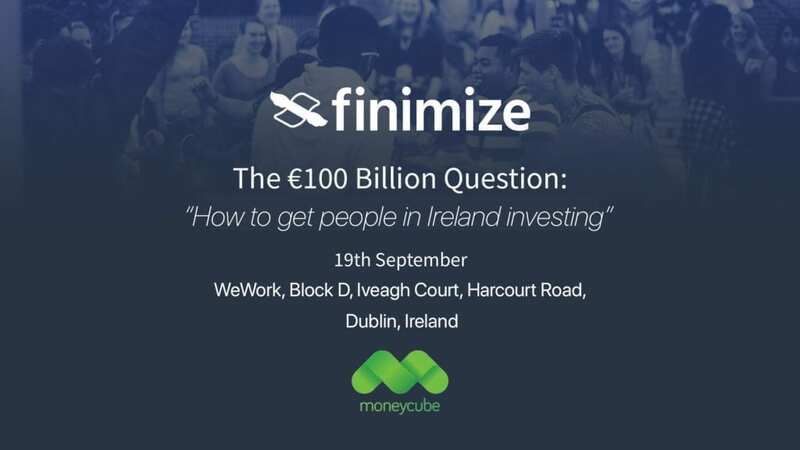 That’s why we’re getting together with Finimise at 6 pm on Wednesday 19 September in WeWork Dublin to discuss the €100 billion question: how to get people in Ireland investing. We’ll have an expert panel made up of the the people who are harnessing technology to change Irish attitudes to investing, refreshments, and lots of questions and answers. What’s holding you back from investing? Get your ticket here.